Welcome to Author Wednesday here on Writing Whims. Today I welcome Catherine Feeny, a writer from the UK. Her latest novel, Flower Girl tells the story of how a night of passion leads London florist Violet Lake to leave her former life behind, and fly off with her movie star lover to live with him in his Hollywood mansion. Once there, however, Violet’s fantasy starts to unravel, and she finds herself catapulted into an adventure which carries her across the entire American continent, and leaves her future happiness hanging in the balance. The plot for Flower Girl sounds very intriguing. When folks ask you what the book is about, what’s your one sentence pitch to hook them? “She went to bed with a movie star but woke up with a man.” Wondering what it would be like to live out that fantasy was the starting point for my story. 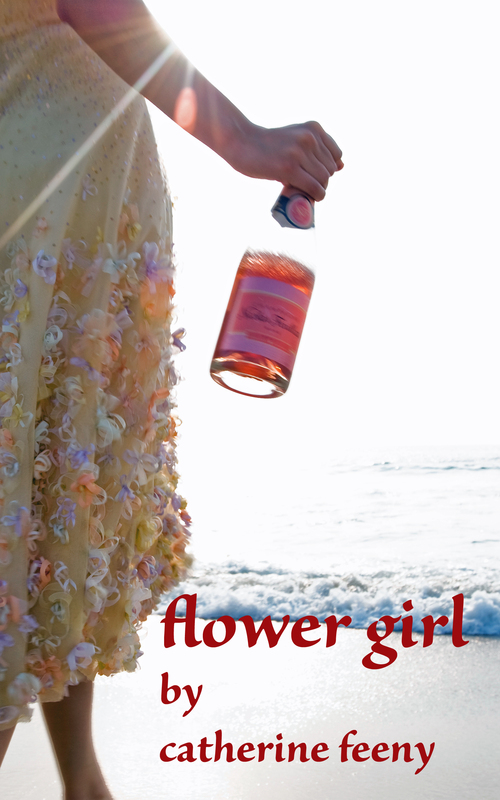 In a way Flower Girl begins where other romantic novels break off. That is even more enticing! So I have to ask, what type of research did you do in the writing of this book? Lots and lots of work on the Internet. Violet, my heroine, is a freelance florist, well-versed in the language of flowers, so I read up on all things floral. When Violet moves from London to California she encounters flowers that she has never seen before. I was able to use online gardening diaries to check when certain varieties would be in bloom, and how to care for them. Flower Girl features a wide variety of locations. I based my fictional settings on real ones, and got to know them via Google Maps. I also read personal accounts of visits to some of these places, in order to pick up quirky details that only an insider would know about. I am a committed foodie, and much of what my characters have to eat derives from menus I came across online. I now have a long list of must-visit cafes and restaurants across the USA! There are more than one, but my favourite is named Harold Acker. He’s a successful but embittered film actor, with a sardonic turn of phrase and a habit of going for the jugular. I don’t believe in the idea of characters “taking over,” but some are certainly easier to write than others. From the moment Acker first appeared, slugging whiskey and unerringly pinpointing Violet’s inner vulnerabilities, I knew I had got him. Without giving us a spoiler, tell us a little bit about your favorite scene in Flower Girl. It’s hard to choose just one, because different scenes do different things, and you hope they will all be equally appealing. I am, however, particularly fond of the description of Oscar Night. I did a lot of research into what it is like to be there, and I discovered that the experience is a curious mixture of glamor and banality. That is a heady combination for a writer to play with, and I had fun conveying those contrasting aspects of the occasion. First and foremost, Flower Girl is a story with masses of twists and turns. One reader likened it to “an emotional roller coaster, well worth the ride!” That is very much what I wanted it to be. There is a component of escapism in my story, but along with it there are completely believable characters, many of whom have very real problems and issues that they need to deal with. I think you have hit on the elements necessary for a good read. What’s the best thing said about one of your books by a reviewer? One reviewer said that an earlier novel I wrote had “a measure of magic” and “a sprinkle of romance” and observed that it would “make a wonderful film some day.” Flower Girl has more than a sprinkle of romance and, I hope, a good measure of magic. It was also intentionally written to be filmic. If readers find those qualities in it I will be a happy author! Here’s to your happiness as an author, Catherine. I’m so pleased you stopped by today to share your work. From Catherine Feeny – I am the author of four previous novels, published by Hodder & Stoughton. 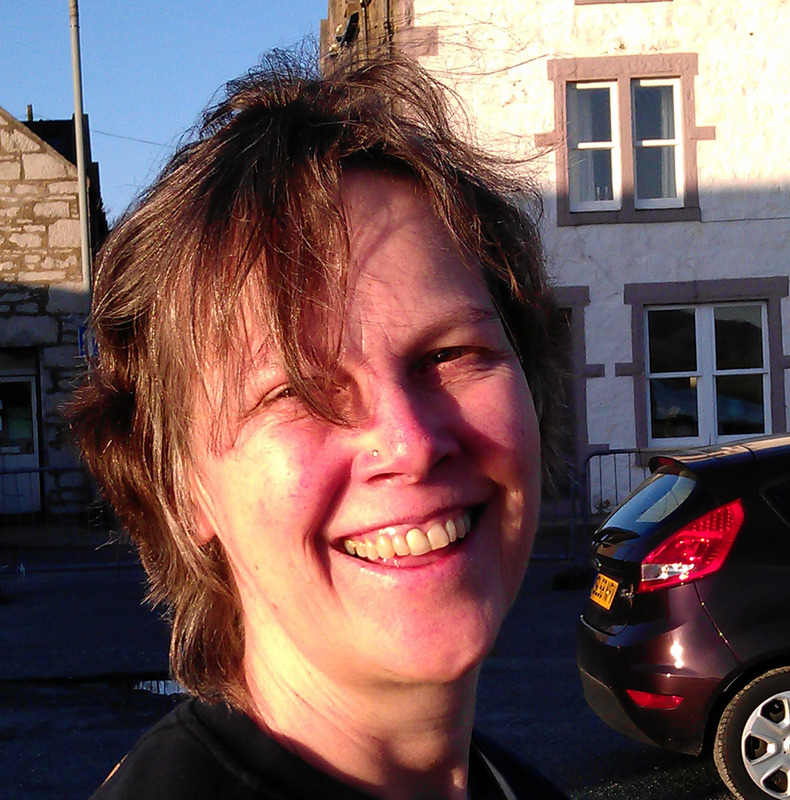 I also teach creative writing, work as a freelance journalist, and write short stories and drama for BBC Radio 4. I currently live in Lincoln in the UK, but have spent time in France and Spain, and for four years I lived in the United States. My travels around America by Greyhound bus at the age of sixteen were among the inspirations for Flower Girl. This entry was posted in Author Wednesday, Ramblings of a Writer and tagged amazon.com, characters, fiction, Hollywood, London, movie actor, romance, UK, writers. Bookmark the permalink. Greetings from the UK. Thanks ofr the introduction! Greetings, Gede. So happy you stopped by. You’re very welcome, and it’s my pleasure. If the book is half as well written as this interview, then it’s sure to be a good read. My reading list is despairingly long, haha, but I’m going to at least check the book out on Amazon and bookmark it! So very true, Lauren. Thank you for stopping by and hope you enjoy the read. I know what you mean by long lists!